The British writer George Bernard Shaw once noted that the British and Americans are a people separated by a common language. That is indeed, true. Remember, in England, it’s not a truck but a lorry. It’s not the trunk of the car but the boot. 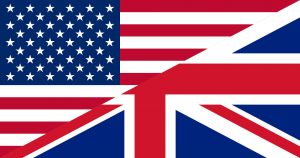 There are also some huge cultural differences that you will need to know about if you want to get your British on. British society judges one another on the supermarket they patronize. There is a certain hierarchy to British supermarkets so you had best ask where someone shops. That way, you know where you stand. Also, when you go to a supermarket you have to pay for a bag and pack your own groceries. Or, you can just carry everything in your hands. If you tell a Brit that you’re “pissed”, they will think you are drunk rather than angry. If headed to a restaurant, native Brits will fight for a window seat. The views aren’t that great and the weather is generally awful but they want that window seat. Also, if you need a conversation starter, talk about the weather. That will always get things going. If you are getting some tea or coffee and you don’t offer to get everyone else some, you will instantly lose a bunch of BFF’s. The roads are extremely narrow and their cars are little bigger than golf carts. The British are more brand conscious than the Japanese. A vacuum cleaner is called a Hoover. If you need a q-tip, ask them for some “cotton buds”. Parking lots are “car parks” and there is no such thing as free parking in England. Guns are not carried in England by citizens or police. Only soldiers carry guns there. Social gatherings can be awkward and can often last forever. The Brits really don’t like having to make an excuse to leave a gathering and no one wants to be the first to leave. Ice in a drink is frowned upon as the Brits don’t want even a soft drink to be diluted by the melting ice. Plus, less ice means more beverage. There is no such a thing as free refills in England. Also, if you need to use your blow dryer in the bathroom, forget it. There are no electrical outlets in British bathrooms, or “loos”, as they call them.